While other driving schools may teach students to pass the driver’s license tests, we have always made it our goal to teach students to become skilled, safe, and confident drivers in addition to ensuring the student can pass the test. After all, the driver’s license test is just the beginning. It lasts a few hours. But our drivers will be driving for a lifetime. Their safety and the safety of others is very important to us. Of course, we also do teach everything needed for the driver’s license test and have maintained a 99% passing rate. We also understand, however, that it isn’t just teenagers who need a driving course and that not all students have the same needs. We offer a variety of courses to fit your situation, whether you are an adult or teen, and each course is customized to meet your specific needs. Our instructors are friendly, highly qualified, and are licensed and bonded with the DMV. Over the years, we have taught over 10,000 drivers. During that time we came to realize how important it is for an instructor to help put students at ease and provide a friendly, comfortable environment in which to learn. So, we have made it a top priority to provide a safe, friendly, and comfortable environment where you can put your mind at ease, learn the driving skills you need, and grow in confidence. 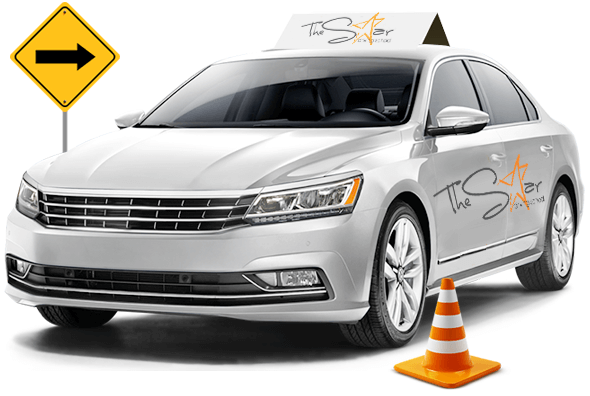 We believe this coaching method of instruction sets Star Driving School above the rest and makes it the perfect choice for you or your child. Free Home Pick-Up for Loudoun County, Fairfax County, Ashburn, Chantilly, Herndon, Reston, Sterling, South Riding, Stone Ridge, Centerville, Alexandria, Springfield, Arlington, Manassas, Purcellville, Roundhill, Winchester, Clarks County, Leesburg, Great Falls, Falls Church, Annandale, and Fairfax area. Please make sure when a student is attending behind the wheel they should not Wear Flipflop or open toe shoes as they can be a cause of an accident.